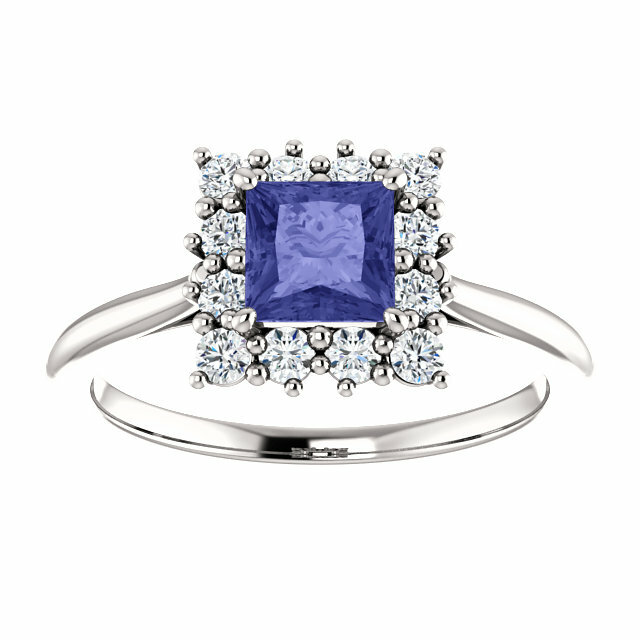 Tanzanite is a unique gemstone, often appearing as more than one color at once. 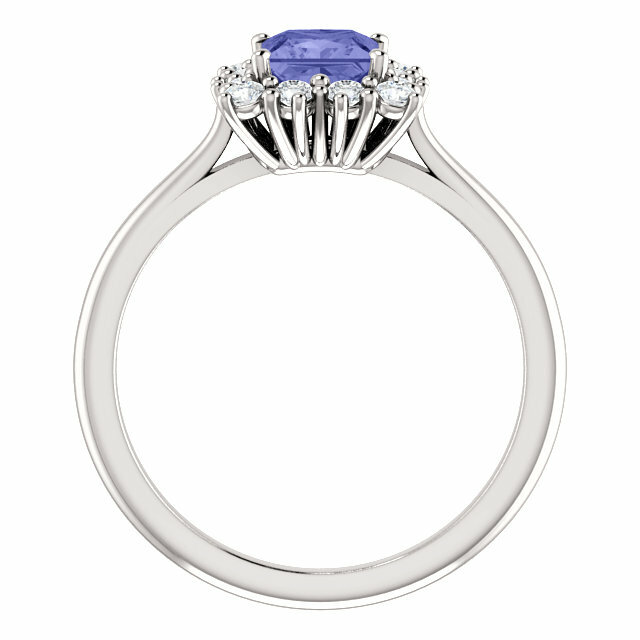 This A quality rated violet colored tanzanite, however, looks exceptionally beautiful when paired with 0.36 carat diamonds and set in a square halo shape, around the princess-cut tanzanite. Perfect as a cocktail ring for creating a statement or as part of a bridal set (available below), this 14k white gold ring from Apples of Gold Jewelry is uniquely and beautifully designed. The diamonds are of G-H color quality with a Sl1 clarity rating, giving the ring extra sparkle next to the pretty purple of the tanzanite stone. This playful ring has a shared prong setting, giving a unique look to these authentic stones. 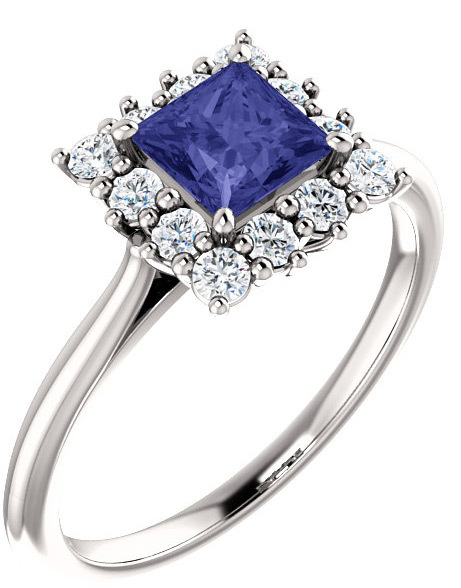 We guarantee our Square Princess-Cut Violet Tanzanite Diamond Halo Ring to be high quality, authentic jewelry, as described above.